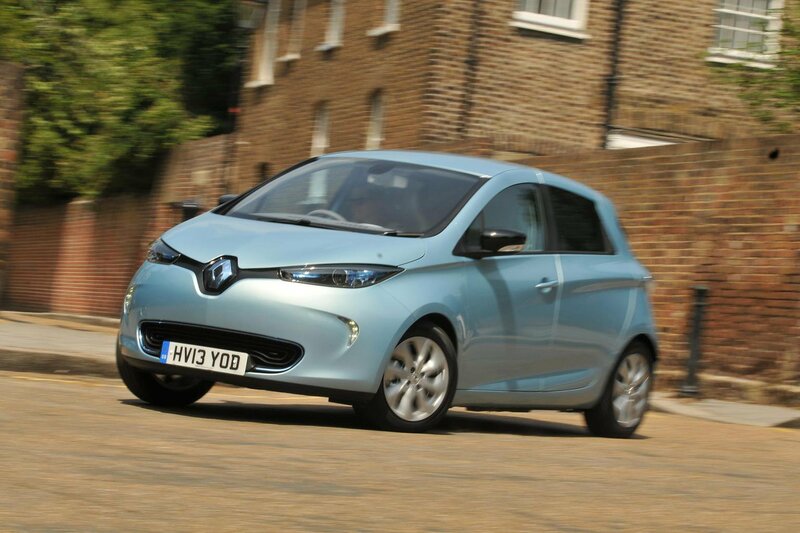 Deal of the Day: Renault Zoe | What Car? Renault recently announced that the owners of Zoe and Kangoo EVs will be able to buy batteries, rather than lease them, which makes the Zoe even more appealing to buyers. It will face competition in 2015 from the Kia Soul EV that we drove earlier this month. The Renault Zoe is, quite simply, one of the best electric cars available. It’s fun, well equipped and incredibly refined, with little of the whine that some electric motors make. It also has a 130-mile range after a full charge that takes one hour when using a 43kW fast charger. In reality, the range is more likely to be closer to the 90-mile mark, but to sweeten the deal Renault include four years' roadside cover that gets you towed to your destination or the nearest charging point at any time. It’s stylish and practical, too. The boot has a substantial 338-litre capacity that can be extended to 1225 litres when the rear bench is folded forward. The brakes are over-sensitive, and the high-speed ride is firm. Expression trim may be the entry-level, but it comes with great spec that includes 15-inch alloys, climate control, cruise control and Bluetooth. A radio with 4x35W Arkamys 3D sound that includes four speakers and two tweeters can be purchased as an optional extra for £350. This deal is subject to taking out Renault Finance. If buying cash, the saving is £1246. Head to Orangewheels.co.uk then select ‘Renault’ and ‘Zoe’ from the drop down menu to see full details.